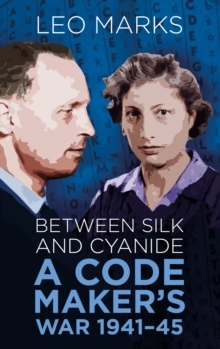 This poignant, haunting poem, originally written for the author's fiancee Ruth who died in a plane crash in 1943, was given to the SOE agent Violette Szabo as her code poem, before she was dropped into occupied France in 1944. It afterwards became famous through the film of her life, Carve Her Name With Pride, starring Virginia McKenna, and has been a source of inspiration ever since to those who have lost a loved one or are themselves facing death. 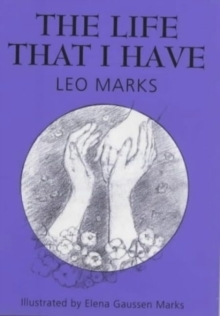 Only in 1998, with the publication of Leo Marks' remarkable book about his works with SOE, Between Silk and Cyanide, did it become known that he was the author of this and many other poems used by SOE agents during World War II. Now one of the best loved poems in the English language, The Life That I Have is presented as a special illustrated gift book, with pencil drawings by the artist Elena Gaussen Marks, the author's wife. Her pencil sketch of Violette Szabo, based on a photograph, is also included.